Last week I had the opportunity to see the opening night performance of Tongue in Cheek Theater’s production of Whale Song or: Learning to Live with Mobyphobia by Claire Kiechel. Now, anyone who reads my blog, (and anyone who knows me personally) knows that I consider Tongue In Cheek a kind of unofficial sister company to GTTP. And, I absolutely love TIC Artistic Director, Jake Lipman, as both a director/actor and as a friend. I first met her, through former GTTP Ensemble Member, Kiwi Callahan (thanks, Kiwi), who said, “I just auditioned for this company and the artistic director is someone you should totally meet. You guys will get along so well.” Turns out she was right. You see, not only is Jake extraordinarily talented, what she does with TIC often serves as a blueprint for what Molly and I want for Tahiti. 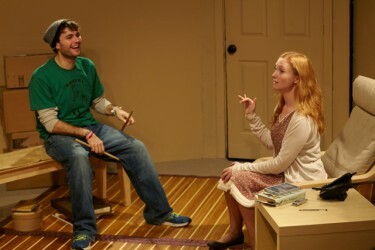 In fact, on Whale Song, GTTP took the opportunity to embed Molly Ballerstein into TIC for the production as she acted as Assistant Director/Stage Manager for Whale Song and Jake got the opportunity to see all those amazing qualities of Molly that made me drag her into the Co-Executive Director position here at GTTP. Yup, we’re all one big family in theater. One thing, Jake, we need it to be clear that Molly is on loan to TIC. You can’t haver her permanently. Matt Sydney as Shep and Shelley Little as Maya. Anywho, where was I? Oh, yes, TIC productions – I make it my business to see everything I can that the company produces and I am never disappointed. And so, it will I’m sure come as no surprise that Whale Song was no different. A quirky, funny, little show, Whale Song follows pre-school teacher Maya (TIC regular, Shelley Little) on a quest for answers following the death of her father (Brady Adair) in a whale tank at Sea World. When a humpback whale begins circling the island of Manhattan, Maya refuses to believe it’s all a coincidence. As usual with TIC shows, the production is incredibly enjoyable. I always look forward to Jake’s inventive staging and her ability, as a director, to play with tone so that the audience is laughing one minute and crying the next (more on that in a minute). The set is simple but elegant, and the sound design gives the show a life that helps carry you out of a small blackbox theater in Manhattan and into the mind of the character Maya, whether she’s in her pre-school classroom, or her apartment living room getting absorbed in the constant news reports about the humpback whale circling Manhattan. 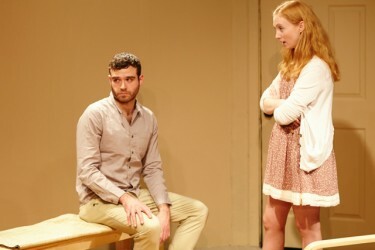 Tracy Willet as Sue the Soothsayer & Jake Lipman as Calista Grey. always, always, always bring tissues to a TIC show, because though the company’s mission is to provide thought-provoking comedies, and though they accomplish that mission really well, (and I’m always going to have more than one good ol’ fashioned guffaw), for me it seems “thought-provoking” = “Jessica will, in fact, be crying her eyes out before the show is over,” so yeah, tissues would have been a good idea. The six actors in Whale Song were natural and delightful throughout the show. Jake, playing local TV news reporter, Calista Grey, nailed that “perky on air news personality” at the same time she gave the character the edge that was needed to needle and spar with Ms. Little’s Maya Swan. Tracy Willet (as Sarah Swan), Matt Sydney (as Shep the motherf*cking drummer), Jared Shirkey (as Mark), and Brady Adair (as James Swan) all did a lovely job with multiple characters, creating a vibrant world peopled by interesting folks who intersect unexpectedly throughout the show. Jared Shipkey as Mark and Shelley Little as Maya. Brady Adair as James Swan. 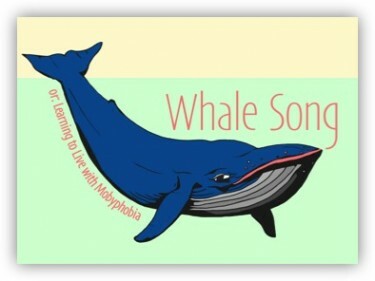 with Whale Song. Catch it while you can. 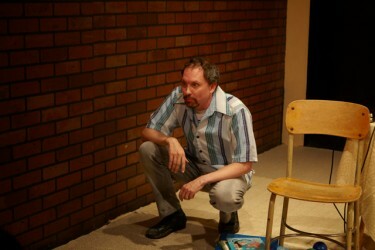 Whale Song plays through November 8th at The Bridge Theater at Shetler Studios. More details go to www.tongueincheektheater.com. GTTP is currently producing the Comfort Measures podcast which takes a deep dive into the media we consume and the food we eat when we are seeking comfort.